Torsen Gleason Differentials are a popular choice of winning race teams everywhere. Pit Stop USA is The Online Motorsports Superstore! 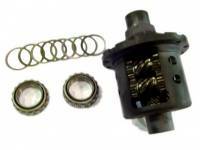 We feature Torsen Gleason Differentials at low everyday prices.